Eworks Manager is Not Only Great For Keeping Your Business Organised, But Also to Promote It! We integrate with MailChimp which is one of the leading marketing tools in the world and used by many to promote businesses. 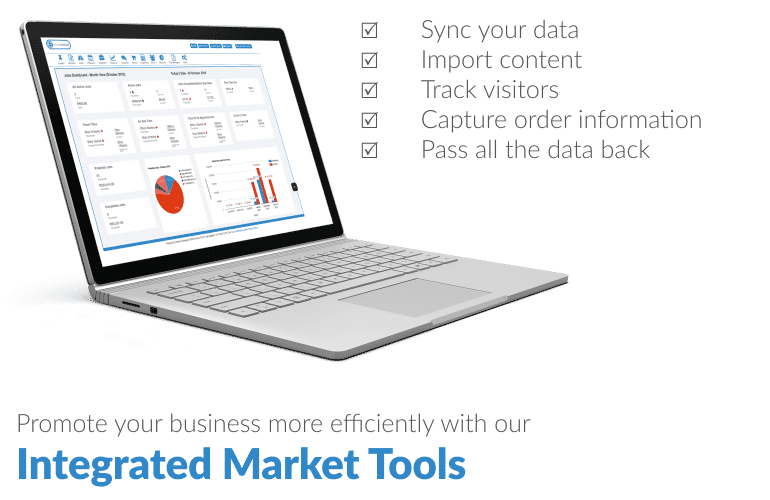 This means you can easily sync your data from Eworks and import content from the system and learn how your campaigns are affecting your business. MailChimp’s e-commerce collection will help you track visitors to your store, capture order information, and pass all the data back to MailChimp. With all your customer data in Eworks export all your information from Eworks and then market your business through MailChimp, whether it be a Newsletter you want to send round to inform your customers about new features, products or services added to your business or a bulk email just to let your customers know of any important information. You can even market to new customers and sales leads with your Eworks data to generate new business and keep a track of it! With this integration, this allows you to market your business whilst managing your workload, all within one system! Unlike most job management software’s out there, we provide constant support to all our customers, whether you have a quick question, require more training on the admin system or the app or require a bespoke to change, we are always here to help with our super friendly customer service team and 24/7 support email. Eworks Manager offers many company benefits and above is just one feature so if you’re ready to ditch the paperwork and start your Eworks journey, sign up for your 14-Day FREE Trial and try it out for yourself! If you would like to get in touch, please call our office directly or pop us over an email, we would love to chat and book in a free online demonstration of the software!